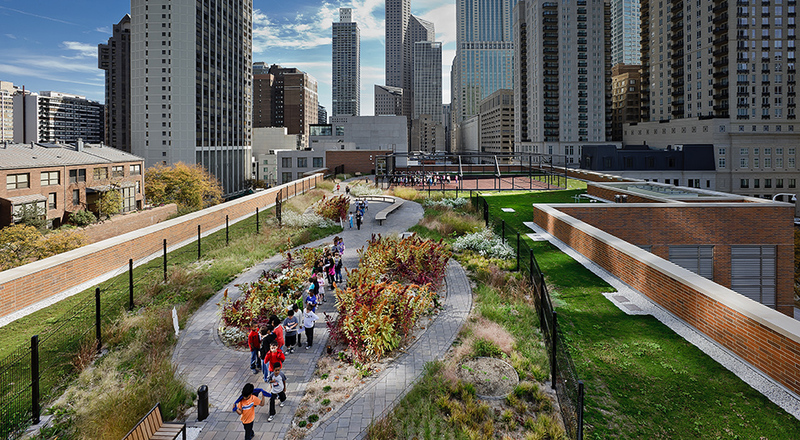 TGDA’s design for Chicago’s Ogden International School provides environmental function, learning, and recreational spaces. 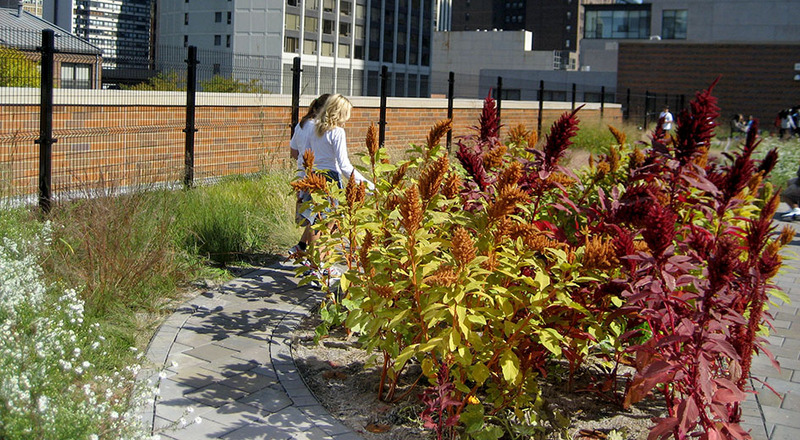 Vibrant outdoor areas incorporate an attractive and playful selection of plantings and sustainable hardscape and were created to provide accessible, multi-functional spaces that extend the learning, play, and social environment of the school. 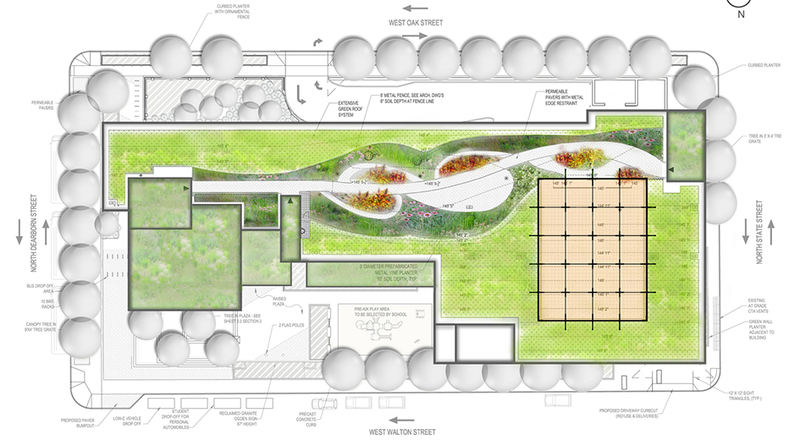 The design includes an extensive green roof and a stormwater recycling system that creates a dynamic system of interactive water infiltration that the students can explore. 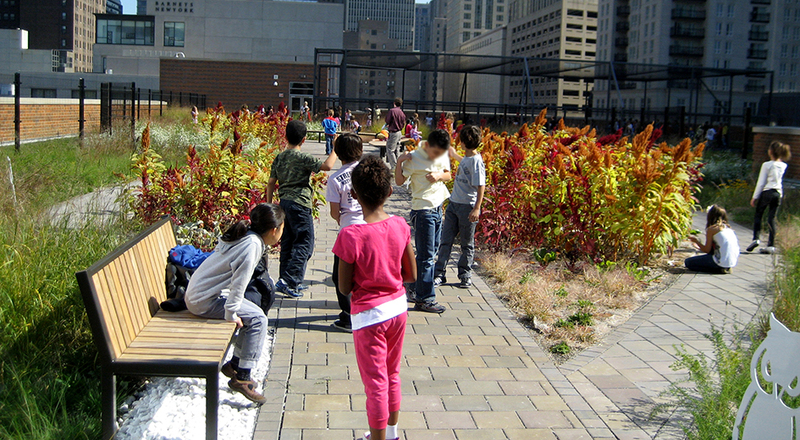 The green roof provides both learning and recreational opportunities. 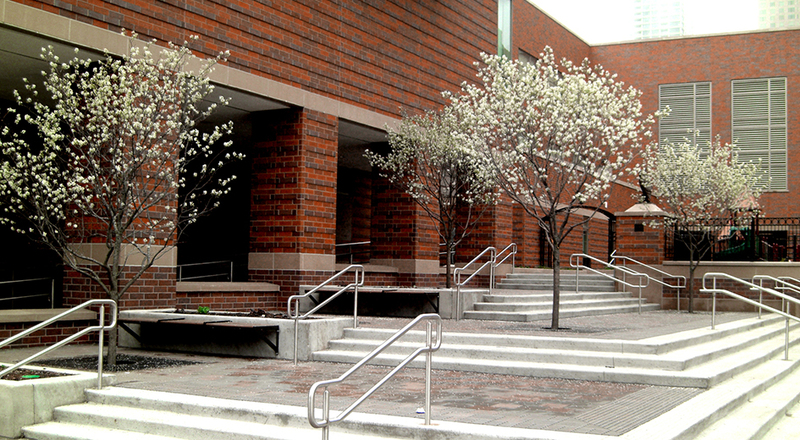 The screened-in play area serves as an active recreational zone promoting play and fun activities, while adjacent native plantings engage students and staff in appreciating and learning from natural processes. 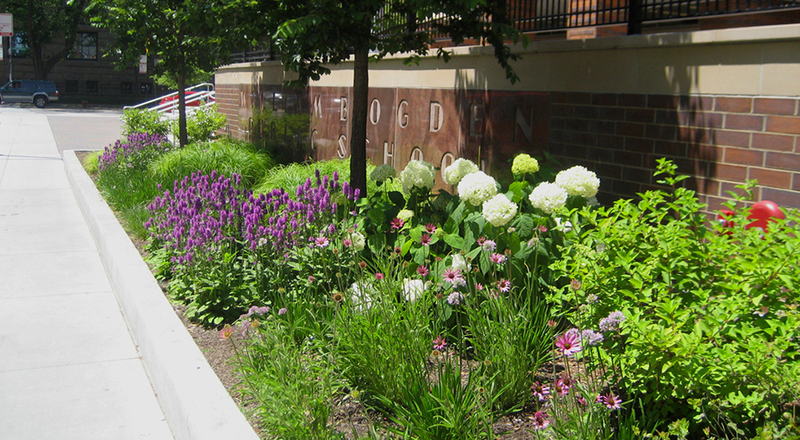 Specific garden beds are designated for classroom use and tactile learning opportunities with teachers and students jointly selecting plants to grow based on curriculum. 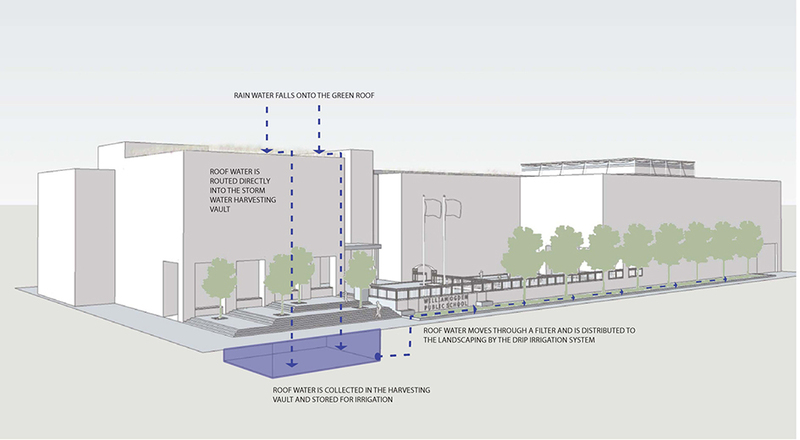 As a cohesive project, the building and landscape’s certified LEED Gold design combines sustainable architecture and site design, making a significant contribution to recovering ecological function in the urban environment.